GUARANTEED.....The Most Thorough, Deepest, Fastest Drying, Longest Lasting Clean, that is Baby Safe, Pet Safe & WoolSafe, Sanitised & Free from Odours or Your Money Back! ISO 9001:2015 Certified for customer service and quality standards. Proclene Limited are now celebrating 35 years of professional carpet and upholstery cleaning, we provide a thorough & professional service carried out by trusted and endorsed technicians. All technicians are employed by Proclene Limited, with 80% being family. We are not a network of carpet cleaners who sub-contract to other companies, so if you book Proclene then it will be Proclene that carries out the cleaning. We are Trading Standards Approved, NCCA Advanced carpet & upholstery cleaners, NCCA Advanced Spot & Stain Removal Specialists, NCCA Qualified & Certified, WoolSafe Approved Carpet cleaners, and Carpet & Rug Institute Approved Carpet & Rug Cleaners, as well as being Certified & Recommended by them. On top of that we are also TrustMark certified working to Government Endorsed Standards, ISO 9001 Certified & ISO 14001 Certified, working to the latest 2015 published standards. Which? Award Winning Carpet Cleaners. We are very proud to announce that we have been shortlisted for the Which? 2017 Awards in the category of Trusted Traders. Obviously it goes without saying that we would not have got this far without the skills and care of our technicians, so thank you to them. It also goes without saying that we would not have achieved this without our customers and the time they take to provide Which? with their reviews, so thank you to all of our customers. We will do our very best to win this award. In addition to this Proclene carpet & upholstery cleaning services won the Which? Trader of the Month Award in November for providing, in their words "Outstanding customer service". Being fully endorsed by Which? & recommended by our customers makes everyone at Proclene feel very proud. Knowing that we all provide the very best service, that our customers are really delighted with, is very important to us all, as this is what Proclene is all about. Being recognised by Which? as a company that provides customers with oustanding customer service, high quality work, and value for money is something we have always aimed for, to prove that we care about our customers, that we are honest and that we are a reputable company that delivers on it's promises. We are assessed & audited annually by Which? to ensure that we continue to provide our customers with the highest quality carpet & upholstery cleaning, and for charging fair prices that represents the high quality work that we provide, also for providing excellent customer service. You can be certain that Proclene will not let you down, and that we will provide you with the outstanding customer service and the high quality cleaning that all of our customers have become accustomed to. Why Have your Carpets & Upholstery Professionally Cleaned? By having your carpets & upholstery thoroughly cleaned by a trusted professional, your carpets & sofa's will not only continue to look great, as well as feeling and smelling great too, they will also last much longer. Over the many years that we have been cleaning carpets we have seen carpets looking absolutely fantastic, almost as good as new even though they are actually over 30 years old. The reason they still look great is because they have had regular cleaning, by a professional that uses quality cleaning solutions and has taken great care in their work. What the cleaning process does is remove the remove dirt, soil & grit as well as spots. By rinsing out all the dirt and soiling they are going to look good, but by removing the grit and any other abrasive matter from deeper within the carpet or upholstery fibres they will last so much longer, this is due to the fact that the reduction in abrasive matter is going to cause the fibres to break apart less, and less wear means they will obviously last longer and look better for much longer. It is not just grit that is abrasive, fine dust is also very abrasive and as you walk over the fibres the particles will abrade against the fibres, causing them to weaken and break apart, and as a result the the carpet pile will start to look less dense and eventually you will be able to see through to the backing of the carpet, the carpet fibres will become limp and as a result will look flat with no pile, and colours will also look dull as light will be reflected differently. What Will Proclene Do for You? Firstly, before anything else, Proclene will explain in crystal clear detail, what you should expect from Proclene cleaning your carpets or upholstery, including (again in detail) how clean we are going to make your items, and how fast they will dry. If we come across a problem stain, we will deal with it/them professionally & skillfully to obtain a result that can be best accomplished. The best bit for you is that we will not charge any extra, even if we have to spend a great deal of time dealing it. All part of the Proclene service. Proclene take great pride in knowing that we have been positioned by our customers, as the leading Professional Carpet & Upholstery Cleaning company as we are recommended by ALL of our customers. Our carpet cleaning & upholstery cleaning knowledge has continued to grow since 1982, we are also NCCA Advanced Specialists who are fully qualified & registered, we are also fully WoolSafe registered, recommended, approved & qualified. 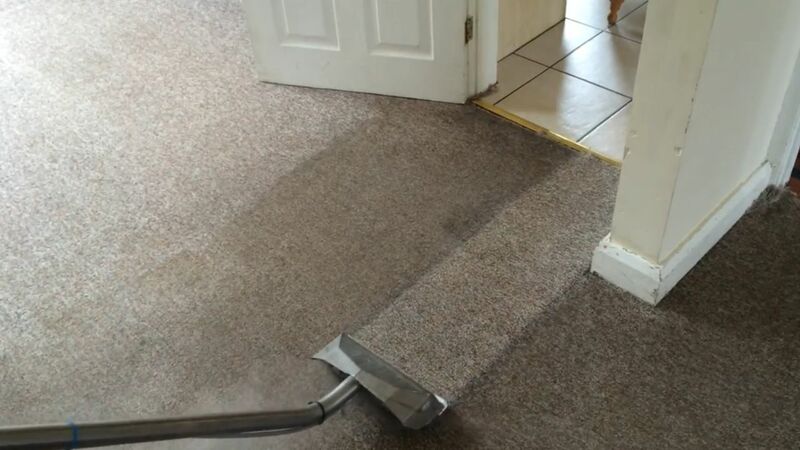 You can be sure that we know how to clean your carpets and upholstery to the highest standards, sanitise them and provide you with the very best results, and of course the very best in customer service & after care, after all this is what makes Proclene the preferred choice of carpet and upholstery cleaning companies. Please watch the whole video to see how we clean carpets & restore them without using harmful chemicals and still provide you with the very ultimate in carpet cleaning that dries quickly & stays cleaner for much longer. Carpet Restoration Cleaning - A video showing Proclene deep cleaning an old dirty carpet in Gloucester and restoring it to look almost like new. You can find more videos on our video page. ISO 9001 & 14001 Certified Carpet Cleaners. Proclene are the only ISO 9001:2015 Certified carpet & upholstery cleaning company in the UK, this ensures that you will receive the very best customer service and the highest standards in quality carpet & upholstery cleaning at all times, we are also the only carpet and upholstery cleaners in the UK to achieve ISO 14001:2015 Certification and this is for your assurance that we are doing our very best towards protecting the environment, and for providing a GREEN & Eco-friendly carpet & upholstery cleaning service, other companies say they are Eco-friendly, but we actually prove we are. Wool carpets as well as upholstery & especially fine rugs need to be cleaned using not only cleaning solutions that are certified WoolSafe but also using procedures that are safe for wool fibres. Without the correct knowledge and skills wool fibres will deteriorate if cleaned incorrectly, if they are cleaned at too high a temperature the pile will burst and become unraveled, they will even shrink on certain types of weave. Left with too much moisture for too long a period the fibres will turn a yellowish brown to even out right brown in colour, they will even mold. If left, in too much of an acidic state the fibres will dissolve, left in to much of an alkaline state the fibres will rot, break apart and if not corrected you will in both circumstances end up with threadbare carpets. Proclene have been providing a safe for wool cleaning service for over 35 years. We have cleaned millions of m² of wool carpets including Berber, twist, tufted, woven & even 100% Wool hand woven carpets, thousands of items of wool fabric upholstery, tens of thousand m² of wool rugs including hand knotted antique rugs from a multitude of origins. Proclene Limited are WoolSafe Certified, Approved, Qualified & Recommended by the WoolSafe Organisation and so too are all of our technicians. We will carry out the correct tests to identify the actual composition of the fibres before commencing any cleaning to ensure that we clean it safely. Triple Rinse™ - Cleaner for Longer. Unique to Proclene, we don't just do a single pass extraction, we go, not 1 step further but 2 steps further. Natural carpet fibres & upholstery fabrics are like sponges, they absorb the cleaning solutions making it difficult to remove, but by using our Triple Rinse™ system we remove not just most of the cleaning solution, but all of it, not only that, we remove much more dirt and soil from deeper within the fibres. This means your carpets & upholstery are going to look much cleaner & stay cleaner for much, much longer. All part of the Proclene service. Proclene will (also at no extra cost to you) provide a fully sanitised carpet & upholstery cleaning service that is not solely reliant on hot water, All items that we clean will be fully sanitised using anti-microbial treatments that are effective at destroying the growth & spread of bacteria and viruses. The treatments we use are effective against MRSA, Norovirus, Hepatitis B and even HIV, so you can be sure that your carpets or sofa's are going to be left in a safe condition when Proclene carryout the cleaning. All part of the Proclene service. When we clean your carpets or upholstery, we guarantee to only use genuine baby safe & pet safe cleaning solutions that are confirmed, accepted & proven by Which? as being baby safe. You can be sure that you have been provided with the safest carpet & upholstery cleaning service that you will ever receive. All Part of the Proclene Service. Good reliable, friendly staff, fantastic results. I will only use Proclene in future as I would like to use traders I can trust. I never expected the finished results to be this good, very clean, fresh looking carpets & stain free. Excellent customer service, very friendly staff, arrived on time, no hassle. Highly recommend because Proclene are Good. Much better than other company we used previously because the carpets look cleaner and fresher. Deep, Fast Dry Carpet Cleaning. We have the most powerful carpet cleaning setup in Europe which is 68hp compared to 14hp (mostly used by budget carpet cleaners). We have invested over £75,000 in each set up and as they also run on LPG they are actually one of the greenest carpet cleaning systems in the UK. Also by using the most powerful and the very latest in advanced carpet & upholstery cleaning machines, and tools that are tailored for each individual cleaning task, we are able to provide you with the most superior cleaning, results and the fastest drying times. Proclene's carpet & upholstery cleaning machines are capable of producing astonishing heat that will easily rinse out grime and grease without having to use harsh cleaning solutions. Although our carpet and upholstery cleaning machines are capable of reaching such high temperatures, we need to ensure that we take extreme care in using them as not to cause damage and this is why our 35 years experience is important, as it provides us with the knowledge & skills to correctly match the temperature & water pressure with the fibres, pile depth and density of your carpets and upholstery to ensure we do not over wet them, shrink them or delaminate them. Before we commence any carpet or upholstery cleaning we will inspect the items and we will clearly explain to you what you should expect, including removal of stains and exact drying times. Our machines are state of the art van-mounted systems that remove more water, dirt, spots & bacteria from your carpets and sofa's, making them much cleaner and providing much faster drying times whilst also providing the deepest clean. With our experience & our specialist tools, we know, we will provide you with the very best results possible, the most superior & ultimate cleaning that stays cleaner for much longer, after all we are Professional Carpet & Upholstery Cleaners with 35 years experience. Carpet & Upholstery Stain Protection. Proclene do recommend having wool carpets protected, some carpet manufacturers will impregnate stain protection in to the fibres during the manufacturing process, but many don't. If your wool carpet has not been stain protected then we can provide you with our Triple Protect which is not only a stain protection, but will also protect from dust mites and bacteria. Find out more about our carpet & upholstery stain protection. To give you an accurate quotation and abide by the price quoted. To provide you with the very best carpet & upholstery cleaning service. To provide you with the very best customer service & experience. To provide you with a service that includes stain & odour removal at no extra cost. To sanitise at no extra cost. To give you true drying times and not to make false claims. To be reliable & punctual. Never to try to sell you anything. To make your experience with us pleasant & satisfying. To provide you with all forms for reviewing our work. The Benefits of using Proclene the Carpet Cleaners. Proclene want you to be more than just satisfied, we will go to great lengths to provide you with the very best experience that you will ever have with any Carpet & Upholstery Cleaning company. We are solely professional carpet, upholstery, rug & mattress cleaners, ensuring our skills are concentrated and not diluted to other trades. Since 1982 we have strived in providing the very best carpet & upholstery cleaning service that is 100% Baby Safe, WoolSafe, Pet Safe and Environmentally Safe. You can be sure that we know how to clean your carpets and upholstery to the highest standards, sanitise them and provide you with the very best results, and of course the very best in customer service & after care, after all, this is what makes Proclene the preferred choice of carpet and upholstery cleaning companies. Proclene take great pride in knowing that we have been positioned, by our customers, as the leading Professional Carpet & Upholstery Cleaners. We provide all our carpet & upholstery cleaning services throughout Gloucestershire, Oxfordshire, Herefordshire, Worcestershire, Bristol, Bath & Wiltshire. For your assurance that we are skilled and qualified to carry out the safe cleaning of your Carpet & Upholstery to the highest of standards, we are also qualified & approved by the WoolSafe Organisation & the National Carpet Cleaners Association.